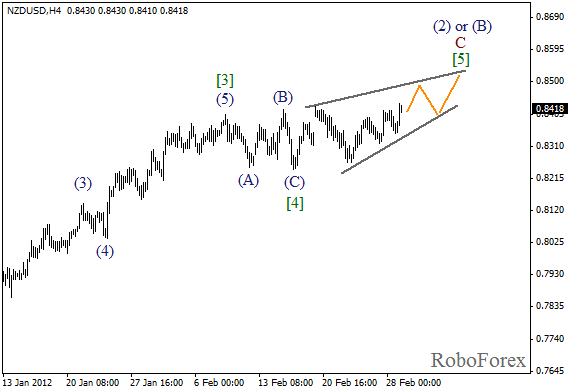 The price continues forming diagonal triangle pattern in wave  of C, and may reach a new local maximum during the day. However, we shouldn’t expect the market to grow higher than the level of 0.8500. Besides, there is a possibility that this level may be a starting point of a reverse. If we take a look at more detailed wave structure, which is shown on the H1 chart, we can see that wave A of (3) has taken the form of wedge pattern. After the local correction we can expect the price to start growing up in wave C. In the future, the pair may start forming the fourth wave. 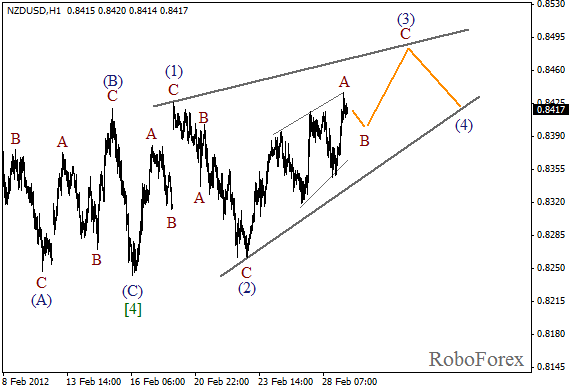 We may assume that the price is forming wave 5 of (C) at the moment. 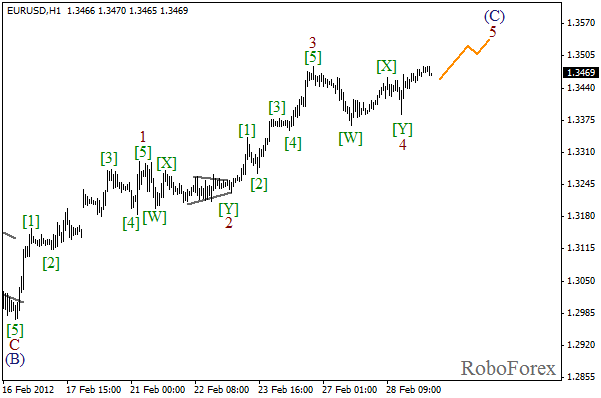 Most likely, the bulls will reach the level of 1.3500 and move even a bit higher. However, right now there is a strong possibility that the price may make a reverse in a downward direction. Nevertheless, in order to start selling the pair, one should wait for a bearish impulse. It looks like wave 4 has taken the form of double three pattern. Local maximum hasn’t been broken yet, that’s why, theoretically, the correction may still continue for a while, as an alternative scenario. 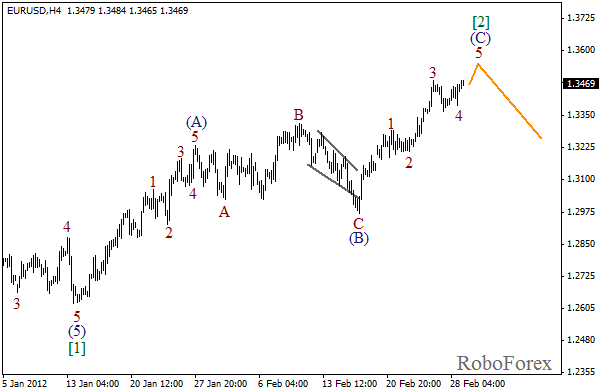 The main scenario for Wednesday suggests that the price continues forming the fifth wave.